One of my absolute favorites from the Holiday Mini is the sunflower set called Painted Harvest along with the coordinating designer series paper called Painted Autumn. The colors I used were Daffodil Delight, Pumpkin Pie, Early Espresso and Always Artichoke. I love that there is a coordinating punch for the leaves. I have seen such fun ideas with punch and I am looking forward to creating my own. 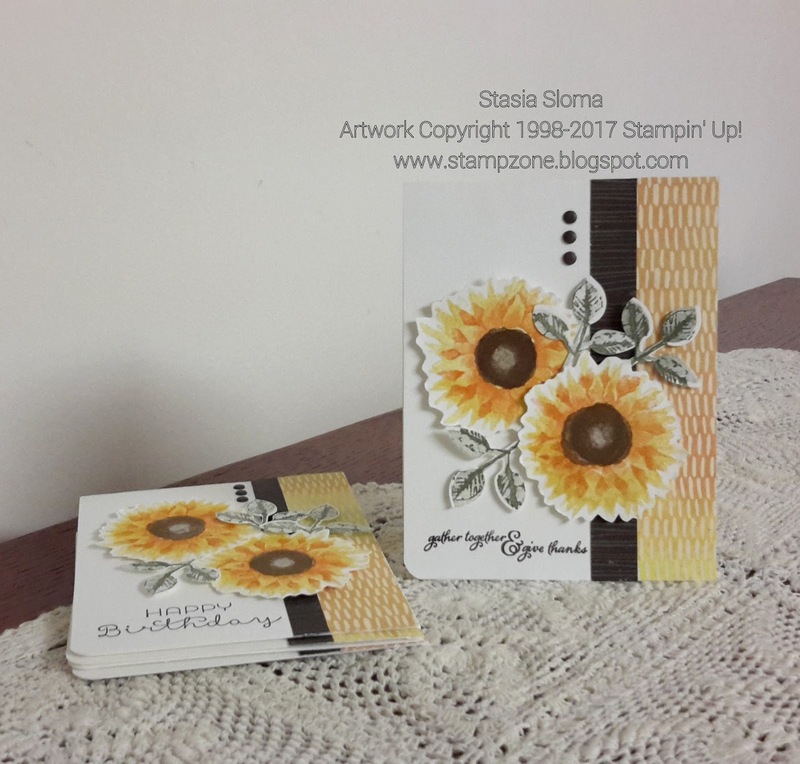 I made some thanksgiving cards with the beautiful sentiment from the set saying gather together and give thanks and the Happy Birthday on the second set of cards come from the Cottage Greetings stamp set.